George Karavantos takes you with him in this seven page article on the F-16 in Greek military service. The article give you insight in the various Block numbers, the differences and similarities, exercises and the upcoming upgrade. Read it all in this 12 page trip report. Thanks to the help of people sending us valuable information and photos, we were able to give you an overview of aircraft seen in the period 19-26 January 2019 at quite a few airfields in Switzerland. Read all about the story behind the F-117A Nighthawk Middle East deployment in 2016. 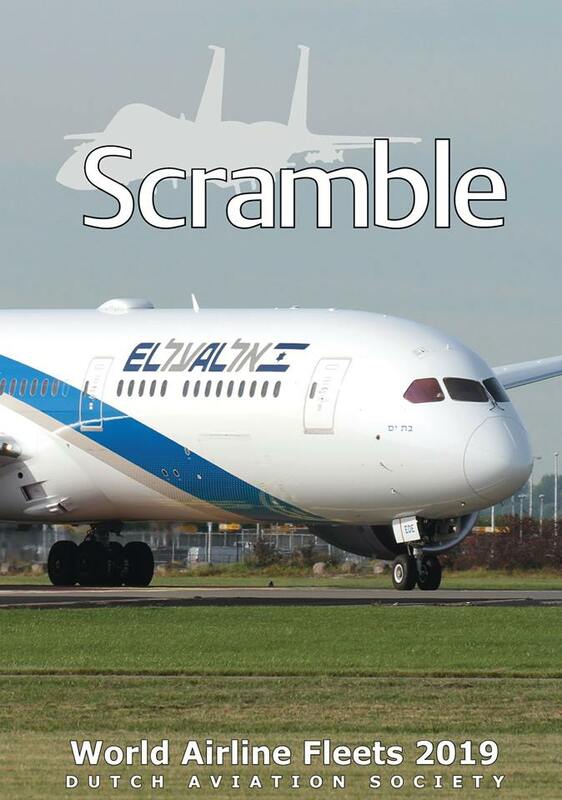 On 2 March 2019 Scramble Magazine had a scoop with part of this information placed on our Facebook page. 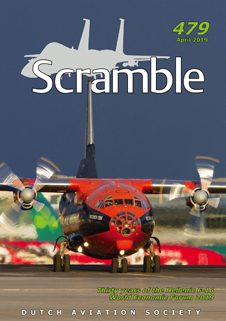 We will sell our 3 new publications and some of our latest Scramble editions. We are very pleased to see you there. Hereby we present you the front of the Scramble World Airlines Fleets 2019. Meanwhile, the content lies with the printer and we expect it to be available for delivery at the end of March. The price is not yet known but keep an eye on our website and social media as soon as the book can be ordered on www.scramble.nl/shop. This edition have 243 pages. A small change compared to previous editions is that the corporate airliners are no longer in it. 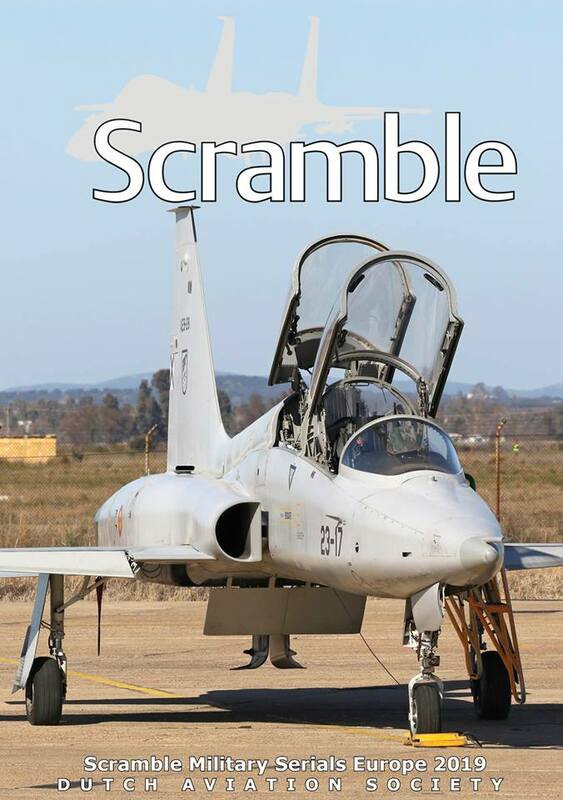 Hereby we present you the front of the Scramble Military Serials Europe 2019. This book is being finalized and will go to the printer in the short term. We expect to have this book available for shipment in late March / early April. The price is not yet known but keep an eye on our website and/or social media as soon as the book can be ordered on www.scramble.nl/shop. 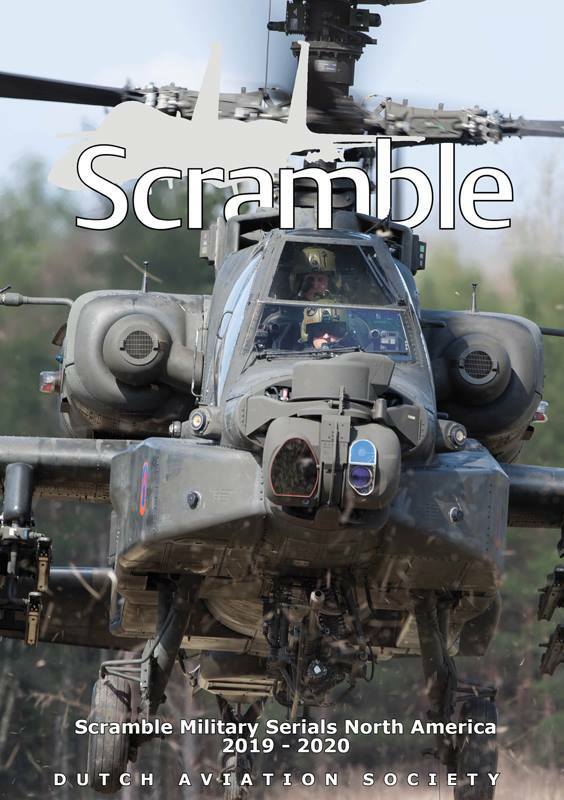 Hereby we present you the front of the Scramble Military Serials North America 2019-2020. Also this book is being finalized and will go to the printer in a short term. Expected to be available for shipment in late March / early April. Prices will be known very soon so keep an eye on our website and/or social media as soon as the book can be ordered on www.scramble.nl/shop.